Feng Shui is the understanding and use of energy flow (“chi”) to bring the most benefit to one’s home, life and family. People feel good and have more opportunities to thrive when they are in a pleasant, happy and supportive atmosphere. This applies to the youngest family members even more so due to their instinctive responses to the people, sounds, and colors around them. Even someone who is not a professionally trained Feng Shui Practitioner can improve the Feng Shui in a child’s bedroom by using some good tips, good intentions, and a willingness to trust their instincts. Why is Feng Shui Important in a Child’s Bedroom? We are all, consciously or subconsciously, influenced by our surroundings, especially while asleep. This is because it is while we are asleep that we are at our most vulnerable. Children are more vulnerable, to begin with as they have not yet learned to put up boundaries. Also, adults have the ability to change their environments while children do not. Creating a healthy, safe and restful bedroom throughout a child’s stages of growth will give them a head start on life as well as some useful Feng Shui tips to take into adulthood. Bedroom location is an important consideration in Feng Shui. If a child’s bedroom is located in an addition which falls outside of the main square of the house, it may cause a feeling of separateness from the rest of the family. A bedroom above a garage will have very unrestful energy, not to mention noise and fumes. Bathrooms, especially the toilet, are also a concern in terms of Feng Shui and bedroom location. The bathroom contains a lot of waste energy. It is not healthy for anyone, young or old, to sleep with their head sharing a wall which has a toilet on the other side, or to sleep under a room containing a toilet. If a child’s bedroom is across the hallway from a bathroom, there will be more traffic and noise. Keeping the bathroom door closed and the toilet lid closed will minimize the waste energy from “spilling out” into the rest of the home. The infant’s nursery is a special place. People usually lower their voices and step softly upon entering a baby’s room. Keep the atmosphere peaceful and nurturing using Feng Shui. This room should ideally be only used for sleeping, feeding, and cuddling; all baby-centered activities. It is best to remove all other activities and equipment (work/computer stations, crafts, and projects, pets, electrical appliances) from this room. 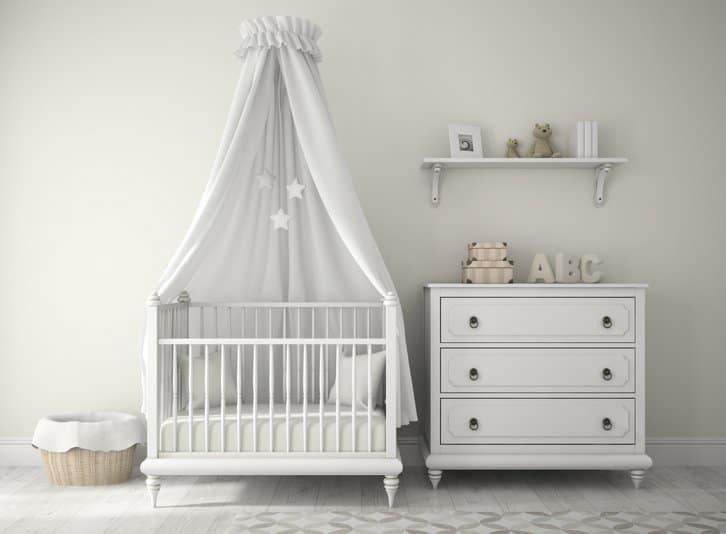 Take a close look at overhead lighting when determining crib placement. Having light fixtures above the crib is neither safe nor beneficial. It may be helpful for an adult to actually lay down on the floor of the nursery and look upwards in order to see what the baby would see from the crib. If a baby continually turns in the crib and ends up facing the same direction time and time again, it may be because the baby wants to absorb more of the energy which that direction provides. Consider orienting the bed so that the baby’s crown chakra (top of head) faces that direction. It can always be changed back if necessary. To find out where the chi energy is flowing to in a child’s room, pay attention to what catches the eye first. If the eye goes first to a child playing happily or sleeping peacefully, chances are the chi is flowing well. But if the eye goes first to a crying, frustrated child or a messy pile of dirty shoes and broken toys, the chi is not flowing in a beneficial way. Desks and homework stations carry a lot of busy, thinking, daytime energy. Again, if there is no choice but to have this area in the child’s bedroom, be sure to close off the energy at bedtime. Feng Shui encourages as natural an atmosphere as possible. This means using natural fabrics such as cotton or linen for children’s clothing, bedding, and floor coverings, It also means choosing toys made of wood, metal or fabric and furniture made of wood. Avoid synthetic fabrics and plastics and add healthy, living plants to clean the air and to symbolize strong, upward growth. Although not always possible, the playroom and sleeping rooms should ideally be separate. Toys, books, dolls and knick knacks carry a lot of active energy and can make sleep difficult, This can be especially true for sensitive or overactive children. Books especially bring a lot of “noise” with their words. If there is no other option but to have a bookcase in a child’s room, choose one with doors or a type of covering. Mirrors in the bedroom, especially those which reflect a sleeping person, are considered non-beneficial in terms of Feng Shui. Take them out of the bedroom for a few months and see if sleep improves. Remember, Feng Shui and the energy if revolves around is always fluid and changing. Make some changes, see how it feels. If the child’s bedroom feels peaceful and cheerful and the child is thriving, chances are the Feng Shui is right on! I hope this post was helpful for you, and if you have any questions about Feng Shui, feel free to ask me in the comments down below! 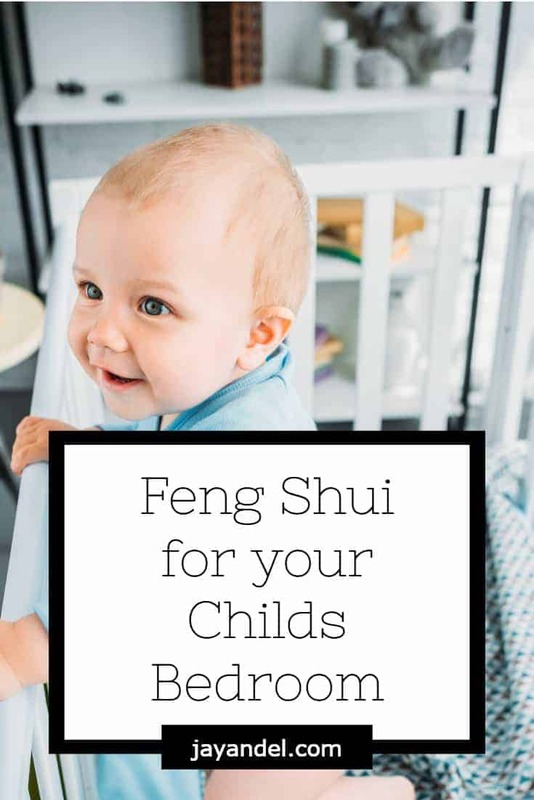 A tiny request: If you Enjoyed How To Use Feng Shui To Create A Healthy, Safe and Restful Bedroom For Your Child, please share. Share it to your Facebook Page!